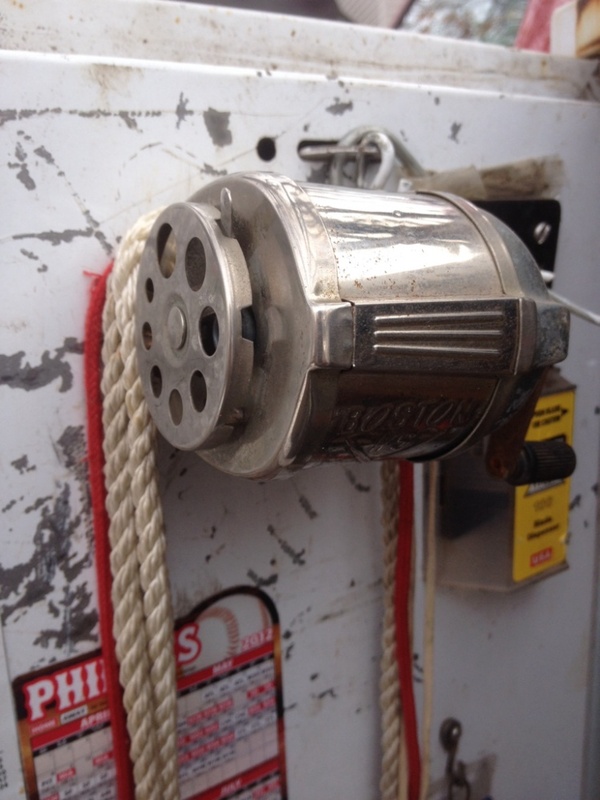 I am looking for a good quality pencil for framing, siding, foundation work. The pencils we get from the lumberyards often don't last a day without the lead breaking. 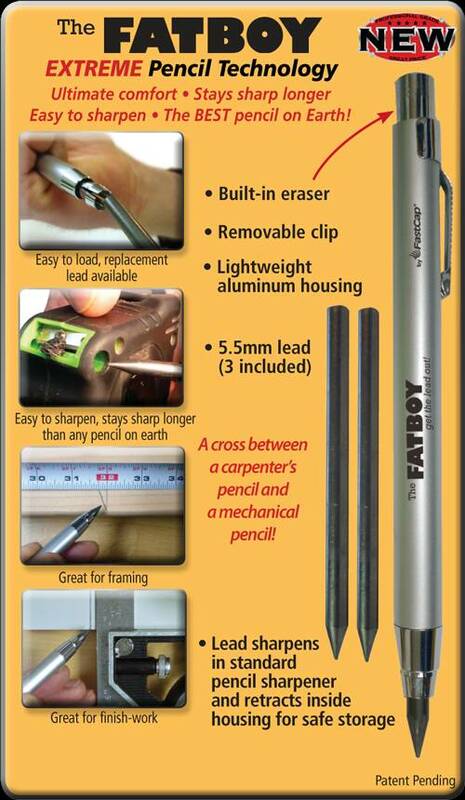 I've used the husky carpenters mechanical pencil, as well as the Irwin, and they both worked great, problem is you do eventually run out of lead, which will mean going back to the truck for more, as it would get destroyed riding around in your bags every day. Then go to make a mark and a 1 in. piece falls out. Whenever I see them, I grab a handful. Sharpen with a knife in the field and in the AM or when a fine line is required, I have this on one of my doors. Ha! I like kindergarten pencils too. That's probably about when my writing stopped developing anyway. They are called primary pencils, several years ago I bought a box of 500 for $20 I bet there are still 400 left. Primary pencil sounds so much better than kindergarten pencil. I'm going to use that. Sorry for the derail Tim. Have you tried the Milwaukee Inkzall fine point? It does a pretty nice job and it's a lot easier for me to see on PT. I found the wet surface claims to be overblown. We recently laid out a bunch of stringers in some light rain and it didn't do the job. My kindergarten primary pencil worked just fine though. 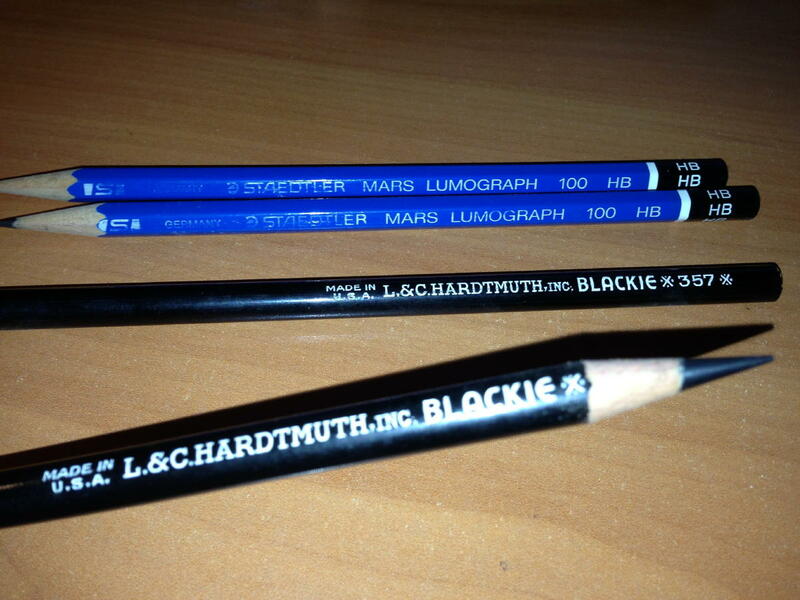 I have had good luck with HD pencils. They give them to me. Used to use red and black but can't beat the price. This tread urged me to research some better sharpening techniques. 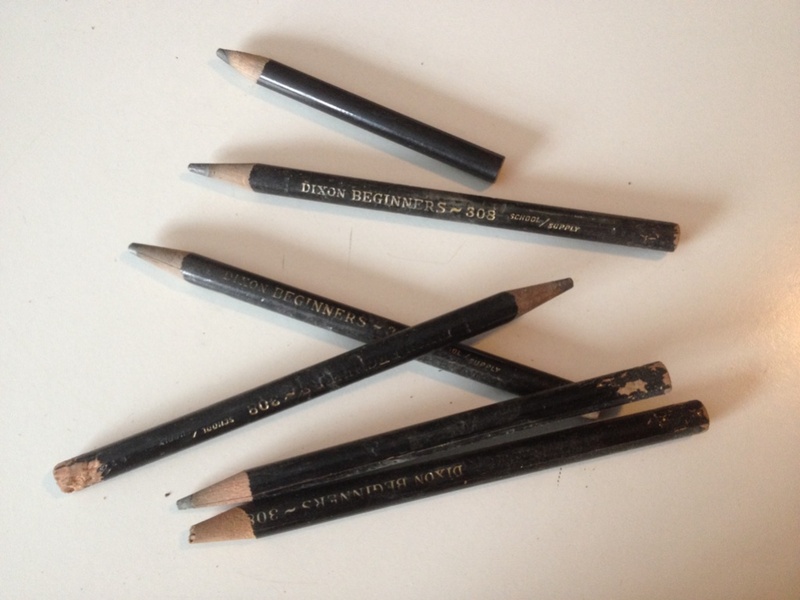 I break too much "lead" (graphite), too. It seems that pushing the blade with one's thumb to carve it helps to minimize the breakage (instead of whittling it like a stick). Worth a shot. I like the looks of that tape measure on the packaging, with on board sharpener, do they sell that as well and where? I'd loose it first day. By all means, it's a gentle touch. Last edited by 402joel; 02-06-2015 at 04:14 PM. 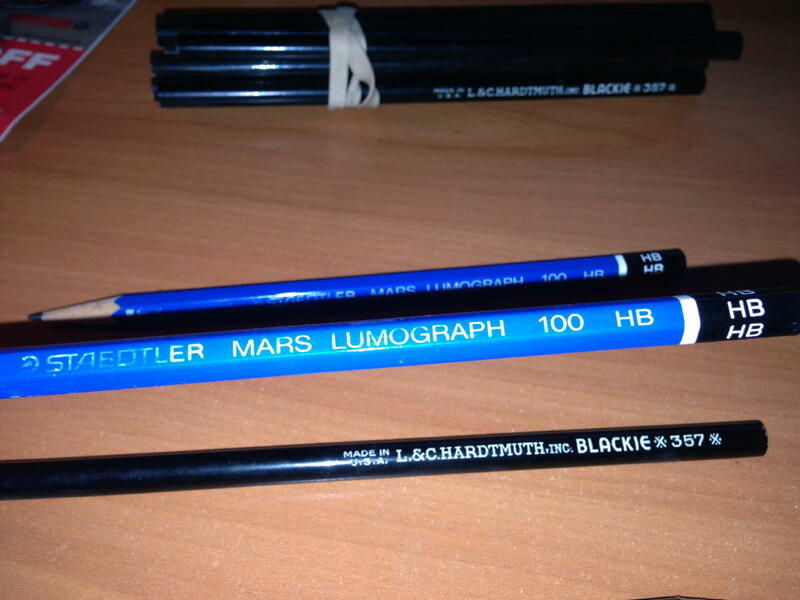 I like the Faber Castell "H" pencils. I'll second on the Fatboy. Works great! Last edited by superseal; 02-06-2015 at 04:41 PM. The ones 84 lumber has are the best pencils I've ever used. I have boxes on boxes.